Privacy has been a hot topic in the workplace for years. Questions abound: Should employees be monitored and, if so, how? My youngest brother is a long distance truck driver and someone in his company knows where he is at all times during the workday. Sometimes this type of monitoring is helpful as in the Work Safe requirements for certain types of occupations—specifically for those people who work alone at night or in dangerous situations. Recently I came across an interesting article in the fall 2015 issue of the Rotman Management School’s magazine. The article, written by Mihnea Moldoveanu, head of the Mind-Brain-Behavior Institute (MBBH), focuses on “harnessing brain science and wearable devices” for personal learning. The implications go far beyond the classroom and will impact all of us to some degree! 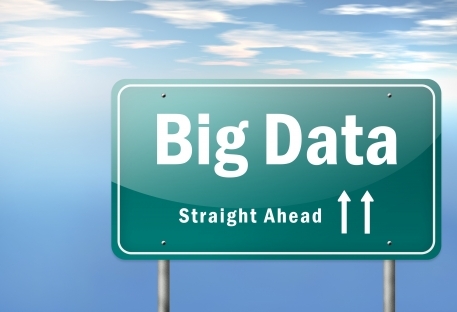 Big Data refers to large amounts of data or information that can be analyzed to reveal patterns, trends and associations as they relate to human behavior and interactions. In other words Big Data is about collecting information about what people are doing (e g what they are purchasing online) and, in the case of e-commerce, using this information to increase the financial bottom line of businesses that sell products on the internet. I’ll use Google’s search function to explain how Big Data works. When you enter a request into Google’s search box you will quickly end up with millions of responses. I entered “smart data definition” and received 96,200,000 results in 56 seconds. That amount of data or info is mind boggling. Fortunately the people at Google, who are the leading experts on collecting and using data, have created some tools to help me refine my search by country and there is even an advanced search option that allows me to narrow my search even further. And Google is analyzing my searches looking for patterns so that it can sell ads to businesses that are located near where I live and who would like my business. Fair enough! Now, let’s get back to Moldoveanu’s innovative work at Rotman University. I must confess that my initial reaction to the idea of harnessing brain science to improve our ability to learn was mixed. On the one hand we can use this technology to monitor our own behavioural responses to events and decide if and/or when we will use this information. But with this new technology there will be the temptation for some businesses to mandate that their employees wear monitoring devices so that their personal data can be collected and analyzed. The type of data that can be collected includes, but is not limited to, the following: brain activity, visual activity, heart rate, blood volume and pulse, body temperature and muscle tension. Think about having to wear the equivalent of a lie detector all day long knowing that your employer can monitor your vital signs as you move throughout the day. The question becomes, what data is collected, by whom, and for what purpose? “Big Brother” is not far away!